Boybands have always been popular, from The Jackson 5 in the sixties to NSYNC and Backstreet Boys in the nineties and the Jonas Brothers and One Direction taking center stage in more recent years. Due to their catchy tunes, in-sync (pardon the pun) choreography and dashing good looks, male vocal groups have ruled the music industry for many years. Across the modern era of music, boybands have made girls (and guys) worldwide scream and cry in excitement. Were you one of them? We’re pretty sure we can guess which boyband you have once swooned over! Just tell us what your favorite songs are and we’ll make an accurate guess on who your favorite boyband is! Maroon 5 - "Sunday Morning"
The Spice Girls - "Wannabe"
Keith Urban - "Somebody Like You"
Johnny Cash - "One Piece at a Time"
John Denver - "Take Me Home Country Roads"
Mamma Mia - "Mamma Mia"
Singin' In The Rain - "All I Do Is Dream of You"
Iron Maiden - "The Alchemist"
Lou Bega - "Mambo No. 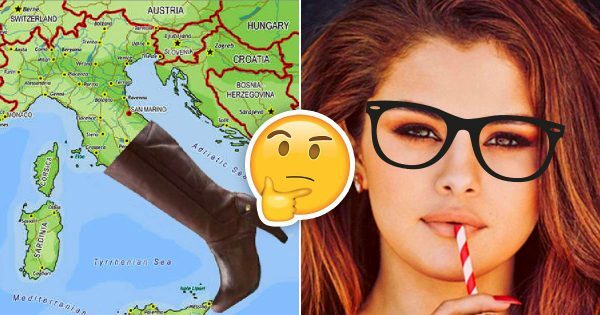 5"
Mariah Carey, Boyz II Men - "One Sweet Day"
🌎 Can You Guess The Country From Its Outline?